As you age, your skin loses elasticity and volume, making you appear older than you feel. 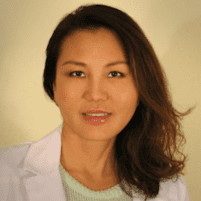 Dermal fillers plump and tighten your skin, so you look more youthful, and Amy Chow, MD, an aesthetic medicine and anti-aging specialist at Dr. Chow's Rejuvenation Practice in Lee’s Summit, Missouri, offers a variety of dermal fillers. Depending on the facial areas you want to improve, Dr. Chow recommends Juvéderm®, Radiesse®, or Restylane® fillers to smooth wrinkles and make lines less visible. Discover which fillers are right for you when you call the office to schedule a consultation or make an appointment online. Dermal fillers are cosmetic injections that replenish lost volume, improve elasticity, and in some cases, help your body produce more collagen. As you age, you produce less collagen and elastin — the components that make your skin firmer and more supple. Fillers like Juvéderm and Restylane use hyaluronic acid, a natural substance in your skin, to deliver nutrients and help your skin retain moisture and softness. Radiesse uses calcium hydroxylapatite microspheres that are suspended in a gel to provide immediate volume. Radiesse also stimulates your body’s natural collagen production, so results are long-lasting. Each family of fillers smooths lines and wrinkles on specific areas of your face so you can project a more youthful-looking appearance. As you age, your cheeks may flatten and facial skin may start to sag. Juvéderm Voluma® XC is specifically formulated to lift and contour your cheeks to create a more youthful appearance. Depending on your desired outcome, and which areas of your face you’d like to improve, the medical aesthetic team recommends the best fillers to help you achieve your goals. In some cases, they may suggest a combination of fillers and Botox®, if you have several areas that are showing the signs of age-related wrinkles and lines. When will I see results and how long do fillers last? Typically, with dermal fillers, results are immediately noticeable after your treatment. * Depending on the filler, your skin condition, and severity of your lines, wrinkles, or volume loss, the results can last anywhere from six months to more than a year, or even up to two years with Juvéderm Voluma XC. If you’d like to take action against the outward signs of aging, the team uses their aesthetic and anti-aging expertise to recommend a comprehensive treatment plan to help you achieve your goals. They tailor treatments individually for each patient, so you can be sure you’re getting the fillers that are right for you. Call the office today to see how dermal fillers can improve the appearance of your facial lines and wrinkles, or request the next available appointment online.